A drive from San Francisco to Fresno will quickly remind you of how much remoteness California has to offer – you might glance at the gas tank gauge a little more often than normal just to be sure. Upon approaching the San Joaquin Valley and Fresno area, a sigh of relief might just envelop you as campus life and gameday action are just a couple of dirt clouds away. Fresno is relatively spread out and the campus area is in the middle of it all. Once on Bulldog Lane, all the expected pregame rituals begin to take shape. Bulldog Stadium itself is a bit difficult to see from the certain directions as it rests on a sports complex between other sporting and training facilities. Its unique crane-like lighting structures are quite visible, however, and point down on a place that has seen a lot of excellent football in recent years. Tailgating commences on all corners of the sports grounds, while the band and mascot weaves its way through playing the fight song and high fiving passersby. 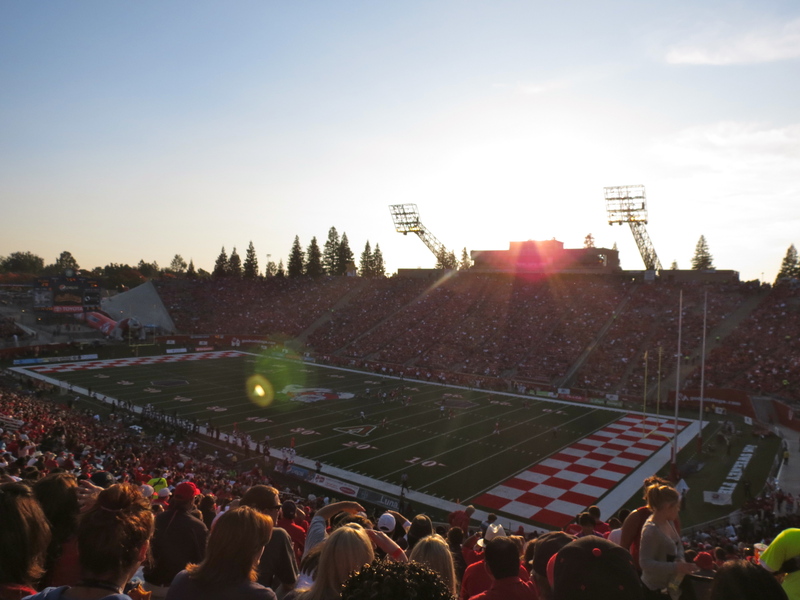 Despite a couple hiccups, Fresno State fans have had much to cheer for in recent years and have come to expect victory at Bulldog Stadium – especially against teams that can’t run, pass, defend the run, defend the pass, kick, block, punt, or return kicks – namely Hawai’i. The Bulldogs were a lock to win as soon as they took the field coming out of a big inflatable likeness of their mascot. Fresno State fans comfortably settled themselves in ready to witness the carnage that would force Hawaii fans to question whether or not the frequent flyer miles are worth it. Fresno State should have no concerns entering this big matchup. The Bulldogs have been to enough high-intensity college football stadiums to start their own college football tour. 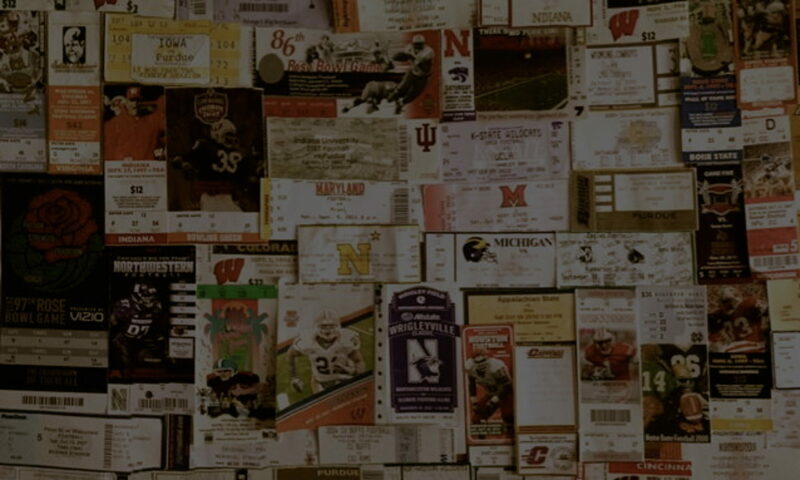 Camp Randall Stadium? They are not anxious about this stadium that is considered to be one of the most daunting in the country. August kickoffs are becoming a standard in Madison. Two years ago, the Badgers experienced their first Thursday night game with a win over Western Michigan on August 31. Last year, Wisconsin participated in the Eddie Robinson Classic and defeated Virginia on August 25. This year, Badger fans cram Camp Randall to witness the earliest kickoff in school history in the John Thompson Foundation Classic. September has barely been dented and the Bulldogs are being called a fairy tale story. With two impressive victories in their pockets over Colorado in Boulder and against defending Pac Ten co-champ Oregon State, they seemed to fit into Cinderella’s gown rather well. Fresno State head coach Pat Hill has glued the motto, “anyone, any time, any place” to his squad. Led by touted quarterback David Carr, the Bulldogs were aiming at carving another notch in their resume of monumental upsets. Badger fans were warned of Fresno State’s power, but a west coast team from a mid-major conference posed little threat to the Camp Randall crazies gathering in Madison.